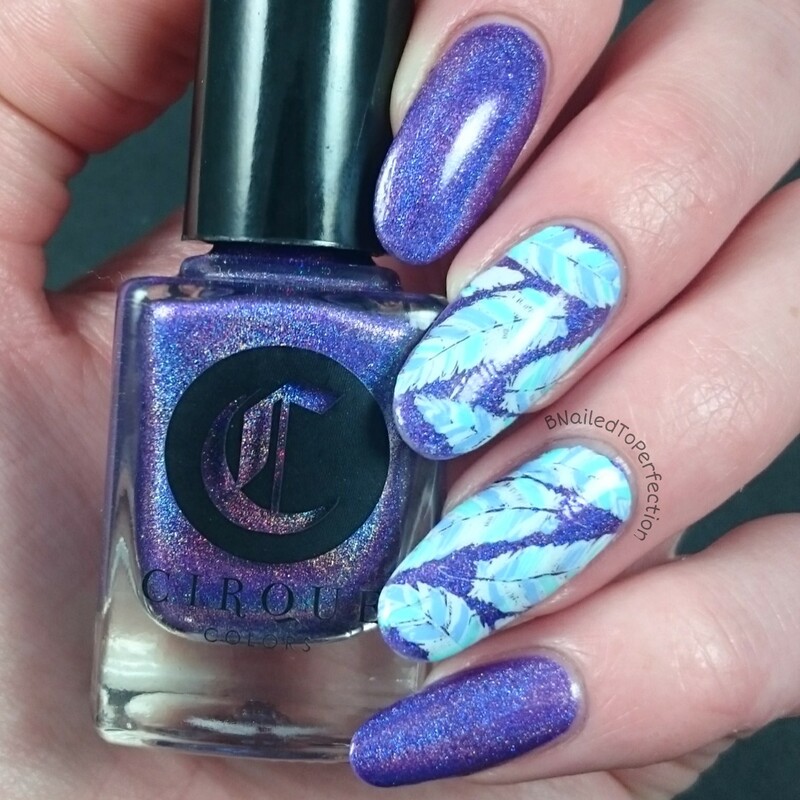 I was a bit late with posting my Instagram mani for #pcawareness15 so I thought I would use it for today's blog post. The theme was wings/feathers and I decided to stick with just feathers. I have no idea why it's taken me so long to use Concord by Cirque colors. It's stunning! This is two coats with top coat. 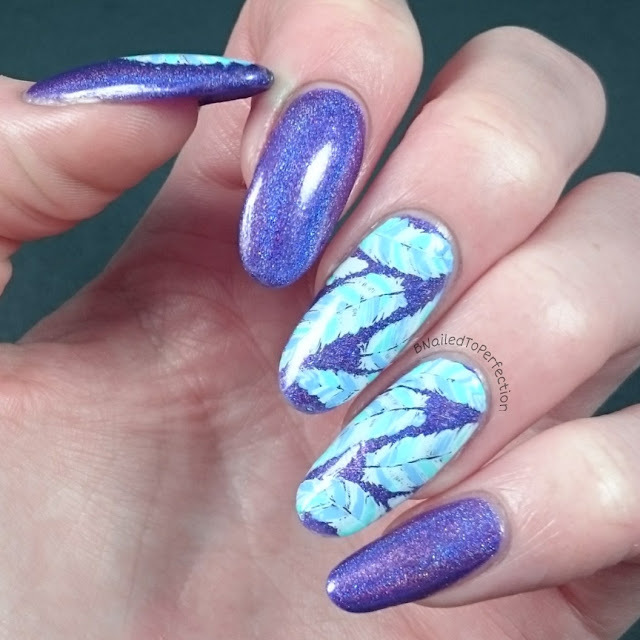 It is a royal purple with a rainbow holographic finish. 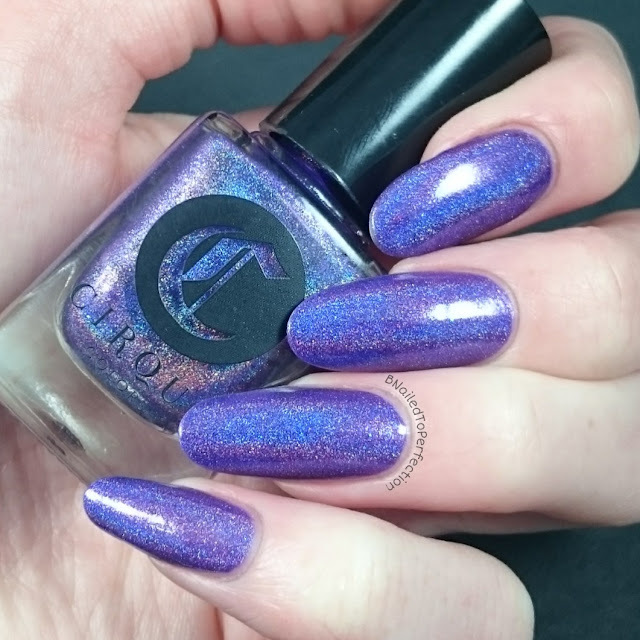 Even in my light tent you can see the holo. 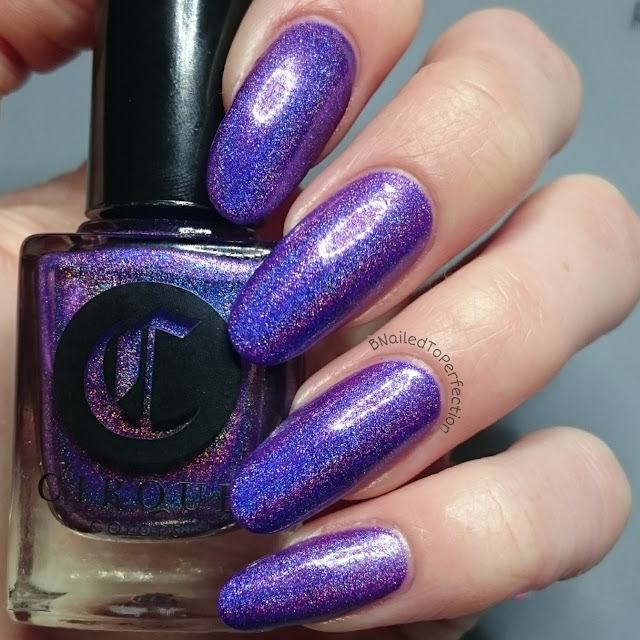 I took a bonus shot when I finished applying the polish under my desk lamp as this shows the beautiful rainbow holo finish better. My Uber Mat and Uber Chic plate 2-02 were my tools of choice to make my feather decals. 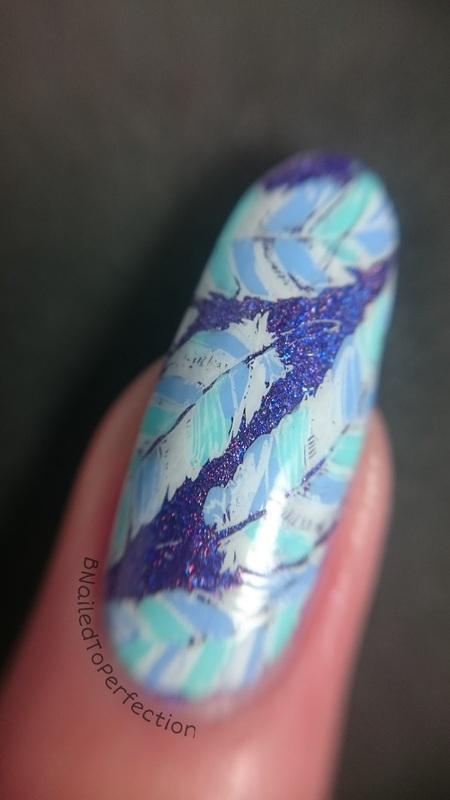 I used all Esmaltes Da Kelly polishes (Dolly, Wendy and Icara) for the stamping and to colour in the feathers. The feathers wouldn't really show up on camera but you can see them better in this macro shot. What do you think of my design? Have you used any purple polish to raise awareness for Pancreatic Cancer this month?